When it comes to haute couture, the name Christian Lacroix stands out from the rest. The house of Christian Lacroix is filled with pretty ladies draped in gypsy-like fabrics and flamboyant style. It’s a place that’s eccentric and daring, vivid and engaging; and like many houses, it’s filled with objects with their own unique stories and beauty. Bring the distinctive elegance of the House of Christian Lacroix to your house, with Lacroix’s lovely new collection of handmade porcelain tableware and decorative pieces. 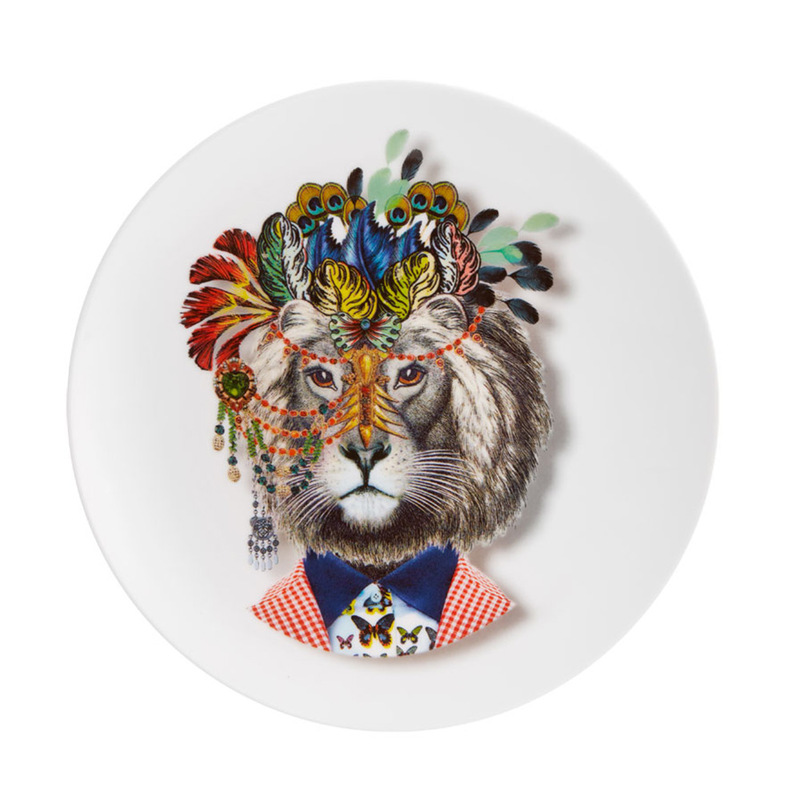 Love Who You Want – it’s a statement tableware collection that captures the extraordinary style of the Christian Lacroix label. Like something from a scrapbook, or perhaps a wayward dream, Love Who You Want is adorned in curious yet beautiful artwork, and is made from impressive fine porcelain. Whether you eat from or display these pieces, they’ll always remain treasured works of art. Presented in a Christian Lacroix gift box.